The weapons bay bracket that caused the fire was a “known and previously identified hazard in the F-35B community,” the commander of Marine Aircraft Group 31 wrote in an endorsement of the investigation. 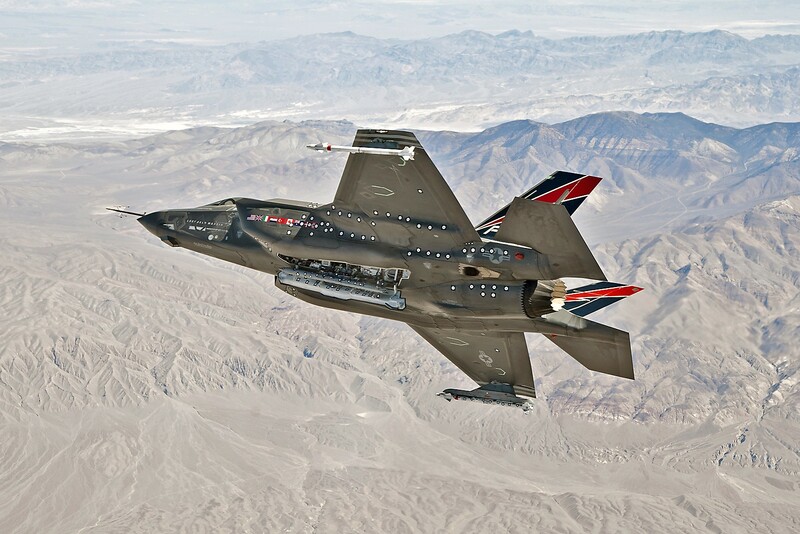 “The Joint Strike Fighter Program Office (JSFPO) should have assessed the risk of the broken bracket as more severe than Marginal, properly assessed the root cause of the broken brackets, and implemented a long-term solution to prevent bracket failures,” according to a redacted copy of the investigation, which Marine Corps Times obtained through a Freedom of information act request. On Oct. 27, 2016, a fire broke out while the F-35B was in the air. The plane’s warning system identified the malfunction, allowing the pilot to land safely at Marine Corps Air Station Beaufort, South Carolina, a 2nd Marine Aircraft Wing spokesman said. The broken bracket had chafed against electrical wiring, which are near hydraulic lines, the investigation found. An electrical short ignited fluid from a pinhole-sized leak in the hydraulic line. “The Joint Strike Fighter Program Office should re-evaluate the risk severity of the faulty bracket design in order to prevent re-occurrence of an in-flight fire or the potential loss of an aircraft,” wrote the commander, whose name was redacted. Pretty interesting stuff, so make sure you read the story. What I find interesting is that the USMC pushed for an early IOC....waaaaay before the plane was ready to enter service and in total opposition to the way that we've done business before and now they have the temerity to complain about the Program Office? Simply amazing! Additionally the idea that they would redact the name of the commander is puzzling. Simple Google searches can track him down in seconds. Last. This type of thing should have been expected. You put an airplane into service before testing is complete and they're lucky as hell we haven't seen one crash or pilots killed. Blaming the program office over a bracket? Pretty ballsy stuff.